A marketing executive with a background in IT and sales can be strategically equipped with the right skills to bridge the gap between sales and marketing, aligning both towards a more collaborative vision for innovation, agility and digital transformation. That's what Konica Minolta’s director of marketing and innovation, Shane Blandford, brought to his role when he agreed to take the global tech giant's Australian arm on a digital transformation journey aimed at better aligning sales and marketing. 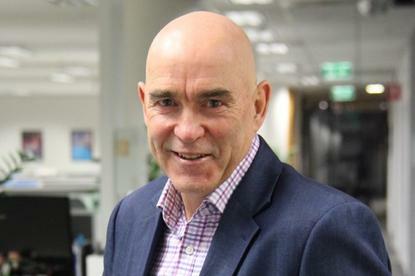 Eight years ago, Blandford became head of the enterprise team at Konica Minolta, where he began to discover a more pressing need for sales and marketing to become more closely aligned. He also began to see enterprise solutions becoming more complex with more decision makers and influencers involved, especially as the company began to move away from hardware to software. “I began to become more interested in digital marketing and IT innovation,” he said. “And when the managing director asked if I’d like to take over the marketing department, I jumped on it. This is because I felt sales and marketing needed to be more closely aligned and we needed to have a more collaborative approach. Blandford has played a key role in building a vision for Konica Minolta’s growth and guiding the direction of solutions for content management services and managed IT services including cloud computing, document management, workflow solutions, and enterprise content management. The vision has resulted in significant business process improvements and increased productivity and efficiency for customers. “When it comes to digital transformation, we’re on a journey, we’re creating an exciting solution – and it has all interested me from a technical implementation point of view,” he said. “The transformation journey actually began with my predecessor, who recognised the need to start a digital marketing transformation strategy and redesign our website. I came in at the beginning of that. One of the strategic decisions Blandford carried through was to bring marketing automation and digital marketing in-house, a need he also saw arise during his time in the enterprise group. Konica Minolta has already enjoyed tangible results, as well as flywheel effect results, Blandford claimed. “One example was a customer who googled ‘OCR' (optical characted recognition) and our paid Google ad came up,” he recounted. “They clicked on it and we were able to track the time they decided to click, when they submitted a form, when our sales responded and how we received the lead, and how sales followed the opportunity generated. We could track the whole process. But Blandford stressed the process wasn’t just about Google bringing up the right search. it was about Konica Minolta having an engaging website, an easy-to-use lead form and ensuring the whole process and ecosystem was seamless and worked in harmony. “It’s about having engaging content, a great nurture system and follow-up process, and the way we measure customer interactions until sales decides it’s time to make that critical phone call to the customer,” he said. In order to effectively leverage technology to drive transformation and innovation, Blandford stressed you need stakeholder engagement across the business – especially sales. “And in many B2B companies, they don’t understand social media or Google AdWords, but we believe these provide real value and open up new B2B opportunities,” he said. Data is also key, Blandford continued, and B2B organisations should leverage customer data in an appropriate and efficient way, while avoiding spamming customers at all costs. Blandford also highlighted the importance of great inbound content marketing, which can be a powerful way to entice customers to engage with your offerings. “When customers search for a solution online, they don’t want to just know about you, they want to know if you have information that can help solve or fix their problem,” he explained. “You need to invest in engaging content that helps them and offers them a solution. In today’s fast-paced digital environment, Blandford said more B2B organisations need to wean off analogue to become completely digital. In today’s brave new world, CMOs also need to keep their teams agile, trained and better leverage digital marketing.